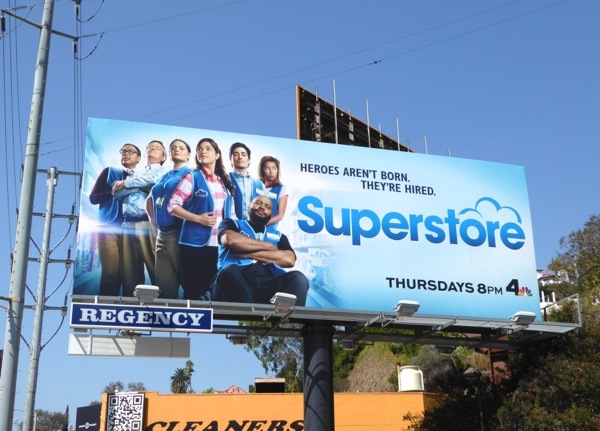 This Fall it's not just superheroes, doctors, drug dealers and battlers of the undead returning for a second season, there's also the folks who work at the Cloud 9 Superstore. 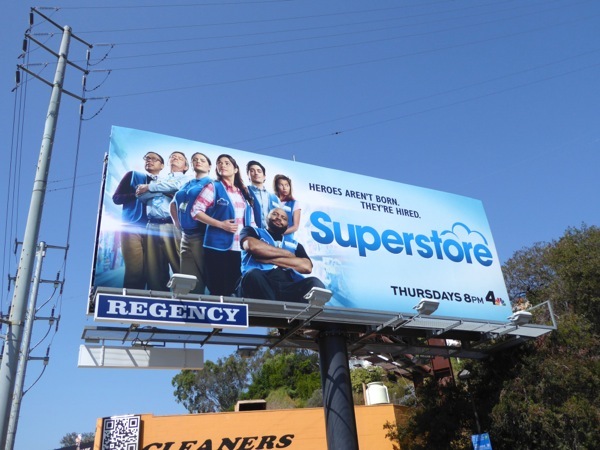 When she's not campaigning for Hillary Clinton, America Ferrera can be seen with fellow megastore employees Ben Feldman, Lauren Ash and the rest of the floor staff trying to hold down a job, that is, when they're not striking against their corporate overlords. 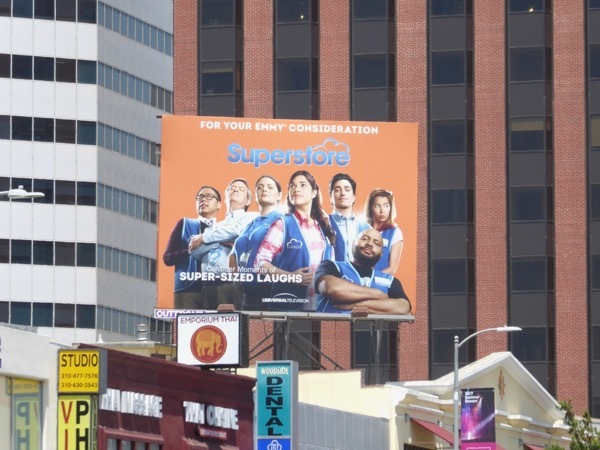 These sophomore season billboards were first spied above Santa Monica Boulevard on August 24, then spotted later along the Sunset Strip on September 5, 2016. 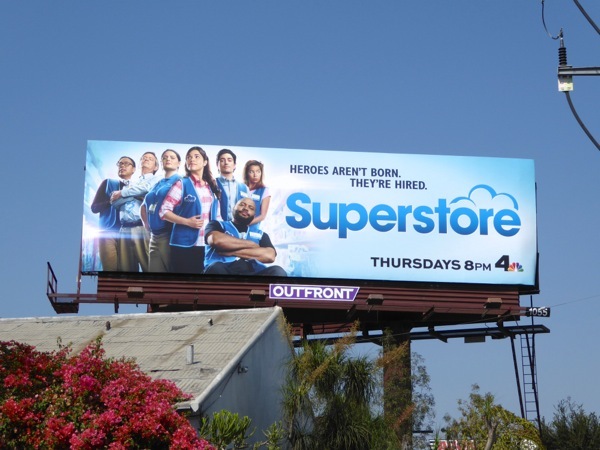 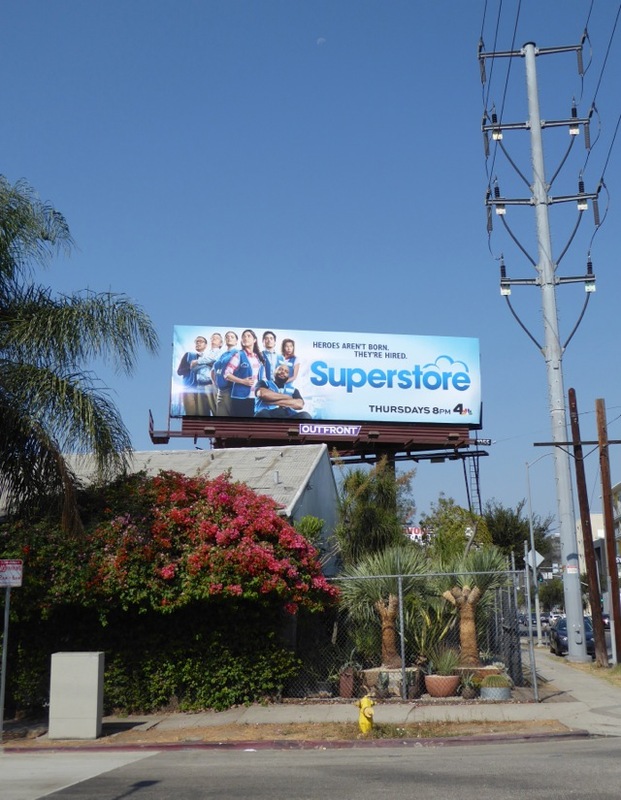 Plus if you're a fan of the show, make sure you also check out this Superstore season one billboard. 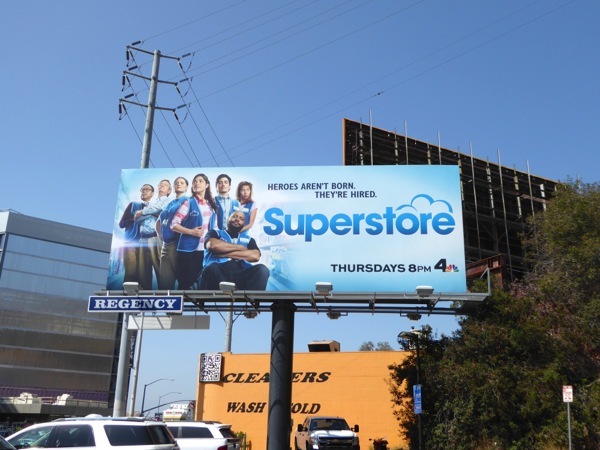 The working-class comedy already debuted a special Olympics-themed episode before the second season premiere, and now Superstore is reopen for business, so also expect some more laughs with episodes airing on Election Day and taking advantage of major holidays and events like Halloween this season. 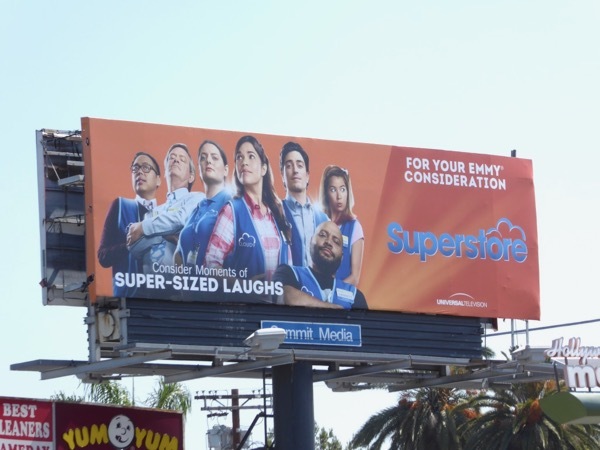 UPDATED: Here's also some adapted sophomore season Emmy consideration billboards for the comedy spied along Highland Avenue and Westwood Boulevard from June 3 to June 9, 2017.